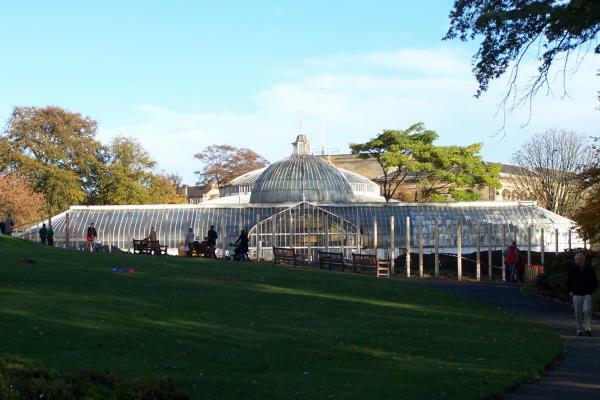 Over a hundred years ago you would find many of the well to do families of the city in the Glasgow Botanic Gardens, relishing the exuberant floral displays outside and the more exotic collections in the glass-houses. Nowadays everyone, not just the upper reaches of society, stroll through and enjoy to splendour the gardens have to offer. Its rolling expanse of green fields is also enjoyed by sun-worshippers at the height of summer. The garden’s plant collections grew and grew with donations from abroad during the 19th century from notable missionaries and explorers like David Livingston, or even from merchant ship captains selling their exotic finds. The prominence of the gardens grew such that flower and plant samples where traded with many of Britain’s prominent garden’s and private collections. The Gardens themselves were founded in 1817, borne from the enthusiasm of Thomas Hopkirk the Younger, a grandson of one of Glasgow’s tobacco lords. Hopkirk and friends gained the help of the University and also the support of prominent citizens to raise funds for a Botanic Garden Collection. 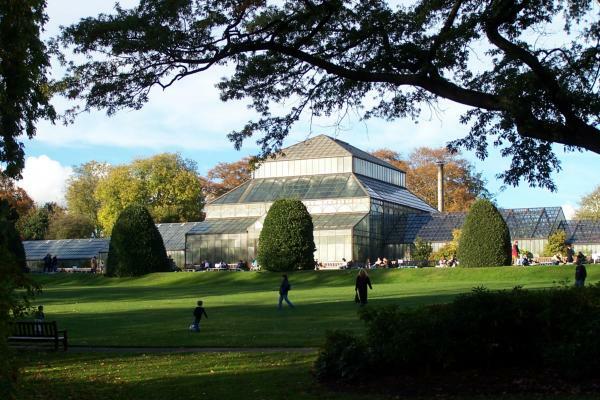 Even the crown contributed and granted a Royal Charter to establish the botanic gardens in an eight acre site that is now Fitzroy Place in Sauchiehall Street. The initial plant collection was formed mostly from Hopkirk’s considerable range. Soon the site expanded to such a degree that new lands were needed new land was acquired in Kelvinside, now at the top of Byres Road, where they have since remained. Kibble Palace, 1863, James Cousland. The majestic glass and iron cathedral-esque construct that is the Kibble Palace put John Kibble’s name on everyone’s lips during its unveiling in 1871 and even nowadays his name, or surname at least, is known by all who visit the Botanics. John Kibble retained his free use of it for a couple of decades, using it for a variety of functions, from concerts to the light entertaining of guests (and who could blame him! ), it became something of a social focal point. Disraeli and Gladstone even gave their rectorial address in the sanctity of the palace, a fine occasion, like so many others before it, it must have been.